CHANCEHILL Welcome Bonus UK 2018 - £100 + 25 Free Spins! CHANCEHILL online casino is truly blessed with good staff. 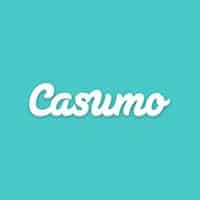 Their online casino was founded in late 2015 and the site grew popular thanks to its emphasis on great customer service, sleek design and great user interface. They are a straight up friendly casino that even warns their players on how much time they’ve spent on their site and are big proclaimers of gambling awareness. The 25 Extra Spins on the “Spinions Beach Party” on Sign Up is highly recommended! Extremely fast and clean user interface! 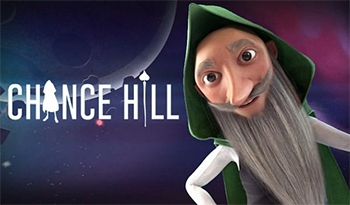 As stated, ChanceHill online casino is a casino that was launched in 2015 by a team of young casino enthusiasts. 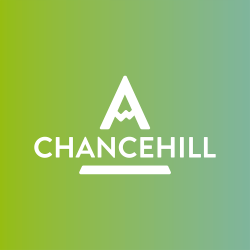 In March 2017 ChanceHill changed it’s whole management to a group of Scandinavian iGaming specialists, that continued to push ChanceHill forward and is a big contributing factor to what it is today. They have returning campaigns each week and have over 600+ casino games to choose from. ChanceHill gives its players the opportunity to choose between big names in the game developer world such as NetEnt, Microgaming and BetSoft. 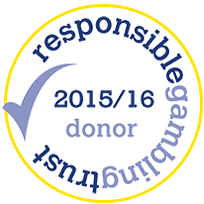 The games are neatly ordered through categories and game developers. As a new player who is registering at ChanceHill, you receive 100% up to £100 bonus as well as 25 Extra Spins. You don’t need any kind of code to get access to the welcome bonus, but don’t forget to opt in to receive the bonus, DONT MISS THIS! ChanceHill has a minimum deposit to be able to claim the bonus, which is £10. This also caps the amount of money you can win to £200, so if you deposit £20 the cap is at £400 and if you do the math and deposit £100, you can win up to £2,000! ChanceHill has a pretty eye dropping (jaw dropping? eye opening?) wagering requirement which is at a hefty 60x the welcome bonus amount. You will hence need to wager £6,000 to claim the maximum of a bonus of £100. So you better start playing! You only have 30 days to complete this! And be sure to play the right game that counts to the wagering! Almost all the slot games contribute 100% to the wagering requirement but check out the exceptions on their site. And some games don’t count at all, like table games and poker. Many online casinos nowadays tends to go with wager-free Extra Spins, but at ChanceHill, everything you win through Extra Spins are automatically transferred to bonus money and need to be wagered 35x before withdrawal. This is kinda unfortunate, but Extra Spins bonuses don’t tend to get that big anyway and you want to stay around to wager your bonus money anyway! Keep in mind that there are some slots that cannot be played with the bonus money either. There is also a max bet to be played at every spin, which is £5. NOTE: Deposits made with Neteller or Skrill will NOT activate any bonuses or Extra Spins. Chancehill also has this mega awesome sunday bonus called “Sofa Reload”! They lets you take part in a reload bonus at 50% up to £50 and with a 40x wagering requirement. Having a bonus that is triggered every sunday is something well asked for, since this is probably the day of the week most people are playing at online casinos. So if you care to deposit £50 you will get £100 to play for and need to wager £4,000 in order to cash this bonus! But that is no problem for you right? You have 30 days to do this in order to claim the bonus money. You will find the bonus in your deposit window, just choose the “50% Sunday Sofa Reload”. Just choose the 50% Sunday Sofa Reload from your deposit window and play with more! Finally, a casino that just isn’t all out on slots! The gaming quality althrough ChanceHill is terrific. Of course, if you’re looking for slots, they are to be found. ChanceHill Casino offers slots from the game developers Microgaming, NetEnt, Nyx Interactive, Play’n’Go, WMS, NextGen Gaming, Aristocrat, Igaming2go, Thunderkick. As you can see it’s a pretty hefty list of game developers. 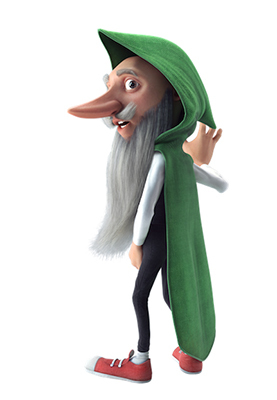 Some of our own favorites are games such as The Dark Knight slot, Koi Princess, Aloha, Warlords (the best!!) as well as many cool fruit machines. At ChanceHill, a selection of Microgaming progressive jackpots can also be found, for example, the slots Mega Moolah and Major Millions which both can make you a millionaire in a matter of seconds! In mentioning of games, Table games is something that is not lacking at ChanceHill. If you’re into Blackjack, be ready to have 6 different variants to choose from, if you’re a roulette player, you have 8! Do you wanna play Poker with an epithet? Try Oasis Poker, Caribbean Poker or Cyberstud Poker. Are you the odd man out, try Baccarat, Craps and many other games. ChanceHill has more than 15 different video poker games. Try out Live Poker such as: Jacks or Better, Joker Poker and Double Bonus Poker. Want to try something with a twist, give themed games such as Wild Texas and Japan Poker a try. Wanna try the classic Swedish games Keno and Bingo and some other more laid back games? Try out Klub Keno and Electro Bingo, or casual games like Mumbai Magic, Whack-a-Jackpot, and Predictor. A well designed mobile site is also available for ChanceHill if you wish to play slots or a small selection of table games through your iPhone or Android device, utilizing one of the best mobile casino with sms deposit.. Registering an account was a very simple process, and it only required a minute or so to punch in my personal information to get set up. If you ever need help along the way, you can easily reach ChanceHill professional and friendly support team. They don’t seem to have a 24/7 live chat, but this might just be a coincidence. The support team can be reached via email or live chat. The support team are very knowledgeable and resolve player problems very quickly. At a first glance when you visit ChanceHill online casino, noticetices the fact that the page isn’t as busy and animated as many other casino websites are. Instead of having tons of different links, advertisement and michelangelus content that can make the page look hard-navigated. ChanceHill offers the eyes a peace of mind as the website streamlines its content in a very pleasing way. 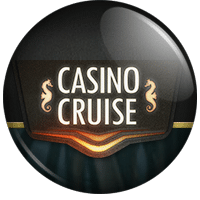 It has a bit more of a modern look than many other online casinos do, without all the blinking vegas signs or other animated stuff. The navigation is also very user friendly. It is distinctively easy to just search for your favorite game, either by type of game, feature or software provider – it’s a really convenient way to find what you are looking for. ChanceHill offers a safe and secure gaming environment. Every transactions is protected by 128-bit SSL encryption from COMODO so your personal details are kept private. 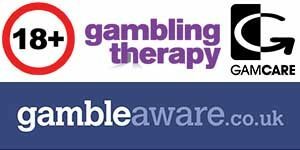 ChanceHill is also licensed and regulated by the UK Gambling Authority and the Malta Gaming Commission so you can be confident that it keeps up to the standards of fairness required. ChanceHill is regularly audited by iTech Labs, a leading independent testing agency. They check through all the games and makes sure that everything is fair and justified for everyone that plays at any of the hosted games. Players can review the most recent certificate by clicking the “iTech Labs” seal located on the bottom of the website. ChanceHill isn’t shy when it comes to their displaying of fairness, they are proud owners of the Certificate of Trust which serves as proof of their undying trustworthiness and significant quality. In talk of fairness, ChanceHill also publishes both theoretical and real world payout statistics for all of their games individually – showing other online casinos how it’s supposed to be done! They have player safeguards in place so that you as a player feel like you are having a hard time controlling your gambling can set your deposit limits, loss limits, wagering limits, and session time limits. This is a really cool incentive so mad props to ChanceHill for this! You can also opt to implement a reality check function into your account. This will notify you whenever you have played for 15, 30, or 60 minutes depending on your settings. It will also inform you how long you’ve been consecutively playing as well as how much you have won and how much you have lost. The transaction process at Chancehill is pretty straight forward, and this also shows that the site is aiming at giving the players everything as hassle-free as possible. Deposits will per usual be available pretty much instantly and the withdrawal times are seemingly fast if you compare them to some other online casinos out there. Of course, it matters which kind of withdrawal method you use, the E-wallet withdrawals are insanely fast! The card withdrawals only take 1-3 days and is also really awesome, since this is something that is outside of the control of the casino. ChanceHills front page is really awesome and clean, their game offers are on point and the overall impression is truly awesome. It’s a casino with nothing extraordinary that doesn’t stand out, it’s not a brand new Tesla or a Ferrari, it’s the safe Volvo in which you would want to keep your family safe inside of. You will also take it to a nice and expensive (but safe) trip to the alps or maybe a cross the country, since it has really good milage. They guy you brought it from is also not a shady guy in a bad fitting suit, but a well renowned business owner that is following strict regulations in order to get you exactly the car you want without overpricing or pushing you to buy over-expensive warranties or an extra pair of sideview mirrors. Okay, that analogy went a bit out of hand, but it pretty much sums it up. If you’re looking for a casino with a sting, you better go for a casino like maybe Kaboo or Thrills, this is the daddy-trying-to-put-his-son-to-sleep-in-his-lap-while-gambling-casino. 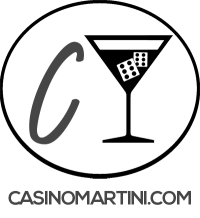 We HIGHLY advice you to check this casino in! The only drawbacks to be found is maybe that the live chat isn’t available all hours of the day.